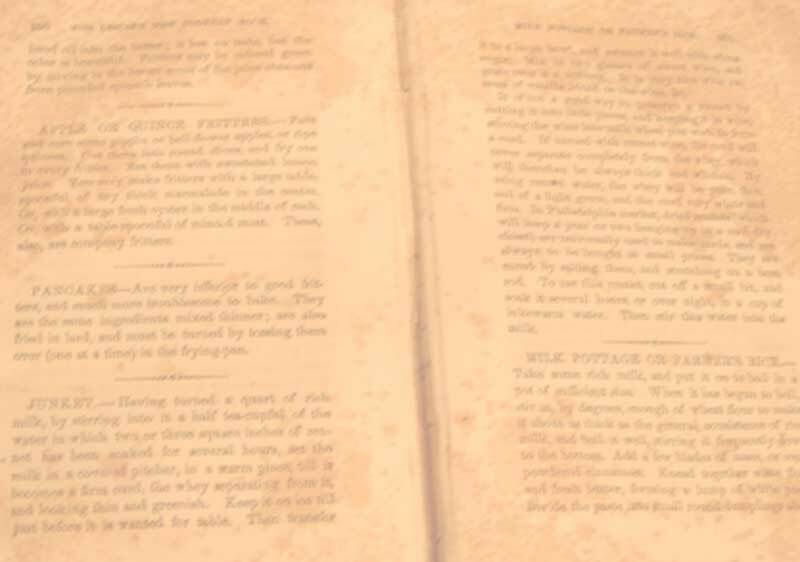 Over 1,000 free historic cookbooks and manuals found online as e-texts are grouped by date and author. Many have been scanned or transcribed on several sites, but I have linked to only one site per title unless the editions or years are different, such as Mary Randolph's Virginia Housewife [1838 and 1860]. Although mostly in English, there are some French, Spanish, German and other languages. Several excellent historic cookbook collections are listed below. Goggle Books, HEARTH, Feeding America, Internet Archives, Duke Collection, Project Gutenberg, MoA, and others have search programs allowing the researcher to query by recipe name and by ingredient. Duke University's Advertising books online have changed their URLs, so until I get time to change them all, when you are redirected to their main page, type in the author or title. MoA Making of America Books. U Mich.
Historische Kochbücher, Originalrezepte und kulinarische Texte vor 1600. European books. In German.